Do history books written tell the truth about Natives? We think not. Here are just some of the false truths they tell. *A false truth is something believed by many people to be true but is not. It is usually something that cannot be backed up with hard evidence. 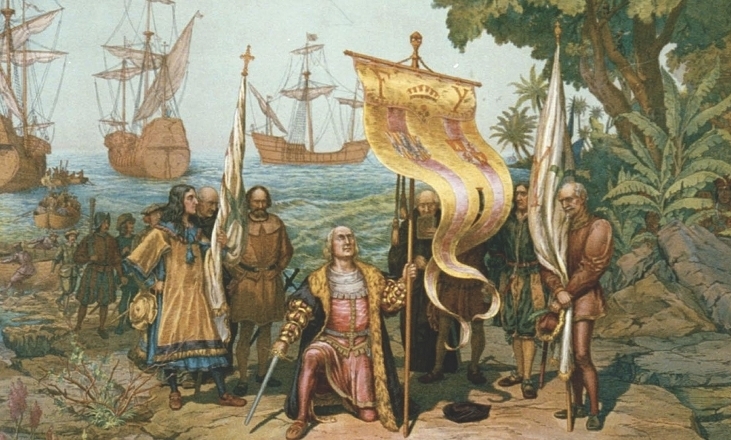 Every year across the country countless elementary school students recite: “In 1492, Columbus sailed the ocean blue,” and many perform a play about him discovering Indians in America. The thing is, Columbus never landed in what would become the United States. He actually landed in the Caribbean. Pocahontas was about 8 years old when John Smith arrived, and was later married to another young Indian warrior. She also had a child that was given away before she was kidnapped by the English and then married to John Rolfe. 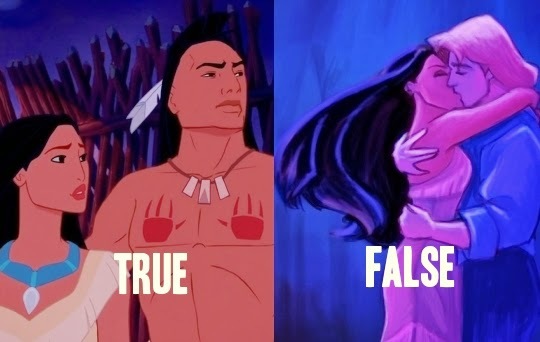 Sorry Disney, and many incorrectly written textbooks, Pocahontas never fell in love with John Smith. According to tribal oral histories as well as The True Story of Pocahontas by members of the Mattaponi Tribe, Pocahontas’ original young Native husband was killed and Pocahontas’ newborn was given to relatives before she was forced into captivity at about 15 or 16 years of age. 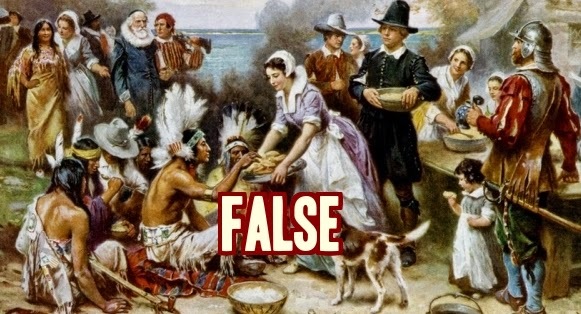 Thanksgiving was named after an entire tribe’s massacre — not a peaceful meal between pilgrims and Indians. In 1621, Wampanoag Indians investigated gun and cannon fire at a Pilgrim settlement to see them celebrating a successful harvest. The Indians — all male warriors, were fed as a gesture of peace. The act was not repeated annually. 4. Land is not just property to American Indians. The gap between European and indigenous concepts of land is the most fundamental issue Natives face with the U.S. and Canadian governments. For Native communities, land transcends the value of “property” as Locke coined it, and functions spiritually as well as economically. Indigenous religious beliefs and ways of life are tied to the earth and what it produces. It’s a living entity that is not perceived as something to exert ownership over. Instead, there’s the notion of a respectful relationship with the earth. Give and take. Things like waterways, forests, and buffalo are essential for life and prosperity, and can even hold sacred value. 5- There are more than 566 federally recognized tribes in the U.S.
To be federally recognized means to be legally recognized by the United States Bureau of Indian Affairs. Even still, there are thousands of tribes, bands, nations, and peoples throughout the U.S. that are not recognized on a government or legal level. They self-identify as American Indian. Tribes are separate entities from the United States, are self-governing individuals with tribal courts and elected leaders. “Domestic Dependent Nations.” Though not entirely sovereign, like a foreign country, American Indian sovereignty continues to be pushed and expanded. Responses to "5 Things The History Books And Hollywood Don't Tell Us About Natives "
More of these stories should be posted showing the beautiful Native American people. Understand people that America defines a continent NOT a nation! Duh.